Having been on the missing list since May 1917, Hunter’s death has finally been confirmed – after a very trying period of uncertainty for family and friends. 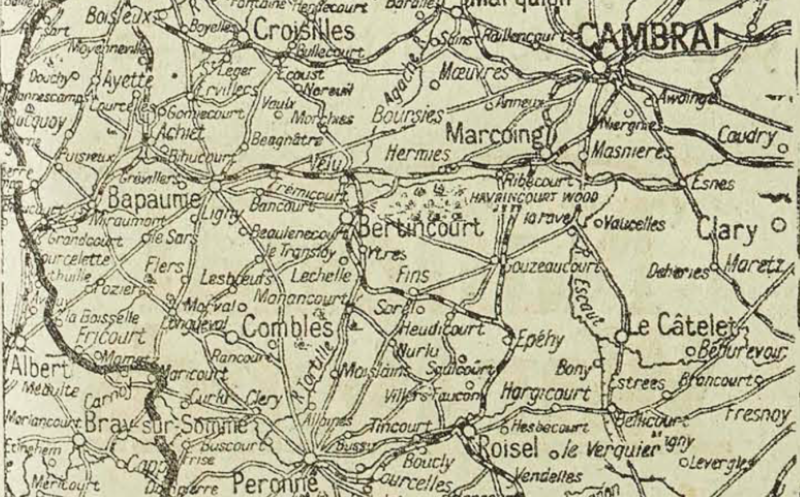 On the night of May 16th 1917 Hunter had gone out on a patrol with two others near Cherisy (at the southern end of the Arras battlefield). None of them returned. Having heard nothing further, Mr Herbertson wrote on July 12th for news. 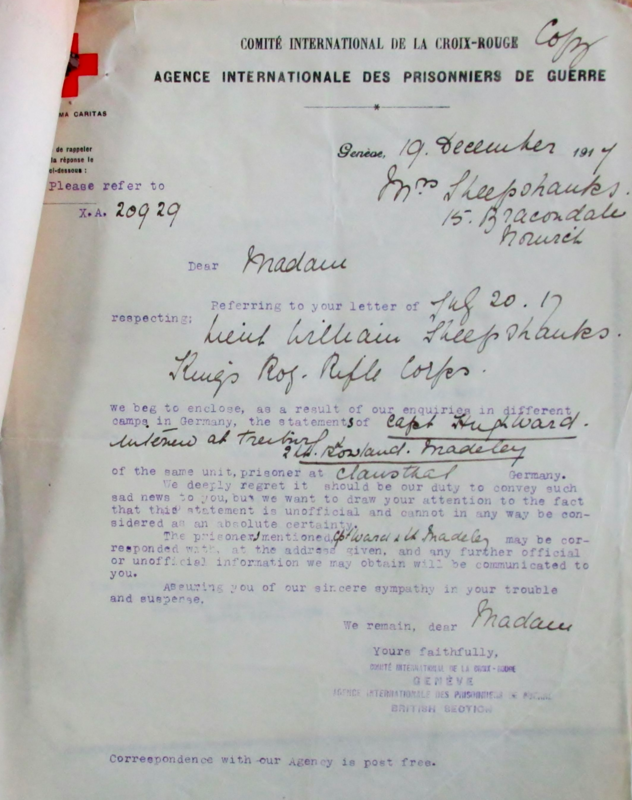 Three days later a reply informed him that Hunter was on the list of missing officers sent to the Netherland Legation for circulation throughout German POW camps and hospitals. The strange thing is that this statement is dated August 30th 1917, so either the authorities had overlooked this information, or it had taken seven and a half months to reach them. Either way, an agony of waiting for the family. We have vivid recollections of his complete indifference to the chance of punishment, his aptitude for getting into and out of scrapes, his quick brain and obvious gift of commanding a following, and we have not been at all surprised at his successful career as a soldier. It was what we would have expected. We now have further news regarding the death of Martin Collier. 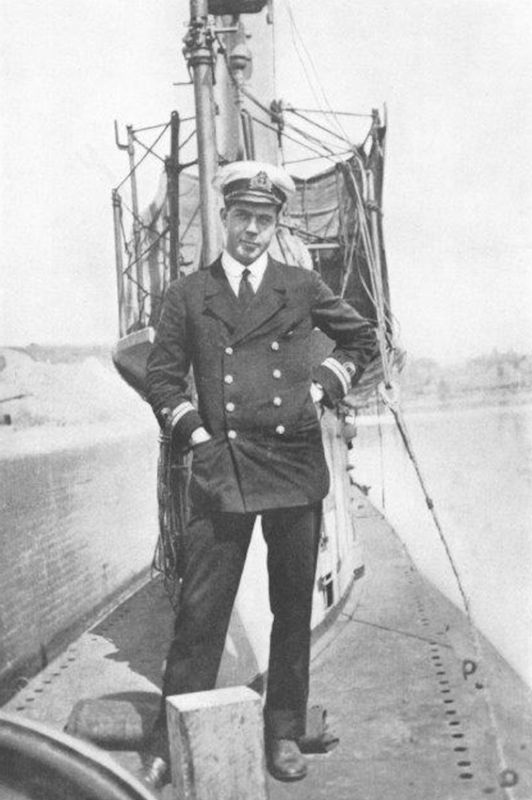 He received orders to take his submarine, H 10, with a crew of 26, on dangerous secret service. He sailed from Harwich into the North Sea, never to return. It is thought that perhaps the submarine hit a mine. Martin had left a noble letter to be delivered to his family in case he did not return. In 1913/14 he played for the South and could well have gone on to make the England team. He was also a boxer of note, winning the Navy & Marines’ middle-weight boxing championship of 1910. 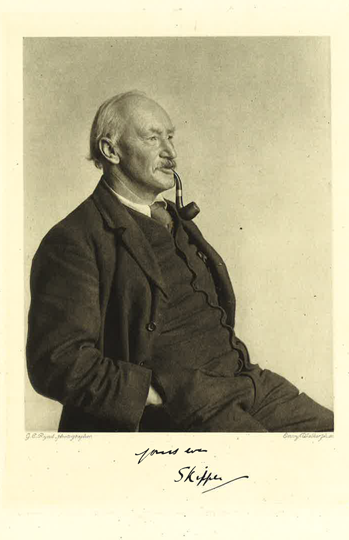 “… I knew your son very well indeed and without any hesitation I can say that he was one of the very finest characters it has ever been my privilege to meet. He was a real, clean, upright Christian gentleman. I personally shall miss him more than I can say. He was most sympathetic and understanding and we all loved him. His crew, whom I knew well, were devoted to him. I saw his coxswain’s wife yesterday, and she told me that she tried to persuade her husband to report sick and miss this last trip, as he had a bad cold. But the coxswain said he couldn’t think of letting Mr Collier go without him. We posted as much on December 27th (Bill having been “missing” since July 10th 1917). It has taken until now for the authorities finally to make this official. It has been some five months since Bill was reported as “missing.” Just before Christmas, the family received from the Red Cross what they take to be confirmation that Bill died of his wounds on July 11th. The information came from KRRC men now in German prisoner of war camps. 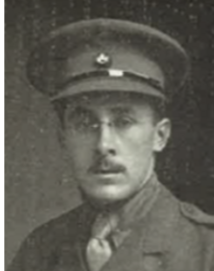 “… I was your son’s servant from the time he joined the battalion until the time he was taken prisoner along with the other officers, NCOs and men who were lucky enough to be spared on that most memorable day, July 10th, when the KRRC and the Northants made a great stand at Nieuport, Belgium. It seems rather cruel to suggest there is a chance Bill could be still alive in the face of this evidence. Surely it will be enough to convince the Army Council to authorise publication of Bill’s name on the official casualty lists? There are few boys who have captured our hearts so entirely as Bill Sheepshanks did. There was an individuality about him, a fearless independence, and at the same time a most fascinating and chivalrous courtesy which impressed us all. A powerful and active brain, coupled with a calm and always cheerful demeanour and a winning smile, were rare gifts which would have carried him far. We return today, inevitably, to the War and news of three of our Old Dragons. On July 21st, the papers reported a number of officers of the King’s Royal Rifle Corps as missing in action. One of them is 2nd Lieut. 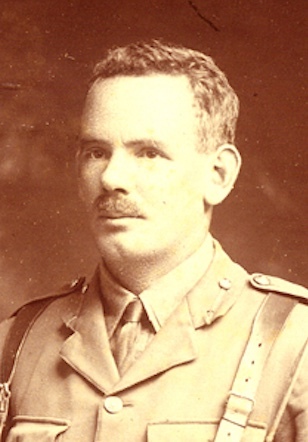 William Sheepshanks (KRRC). His mother received a telegram to this effect on the 19th, informing her that Bill has been unaccounted for since July 10th, but that he may still be alive. We must resign ourselves, once again, to a period of painful uncertainty. The regiment was stationed right on the coastline near Nieuport – at the end of the trench system which stretches from there to Switzerland, and was under severe bombardment. In an account in the Daily Telegraph giving the German view, it was stated by their authorities that they had taken 1,250 prisoners, 27 of whom were officers. That gives us hope. Bill has been such a close friend of the OPS and he never missed any Old Boys’ dinner or cricket match if he could help it. We were startled and sorry to hear that Lieut. Lindsay Wallace (OBLI) has suffered considerable injury in France, due to unusual causes. Whilst on a training course behind the front, Pug sleep walked out of an upper floor window. 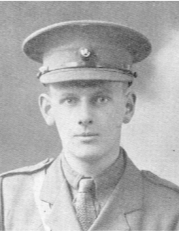 He had a nasty time for a day or two, but is now safely back in Oxford at Somerville College, having been escorted from France by his Engineer-Lieutenant brother Moray Wallace. He will not be short of visitors – if we can get past Sister Wilkinson! We can end with one piece of good news, which has been a fearfully long time coming. It has been confirmed that Capt. Aubrey de Selincourt (RFC), having been “missing” since he was shot down on May 28th, is in fact a Prisoner of War. 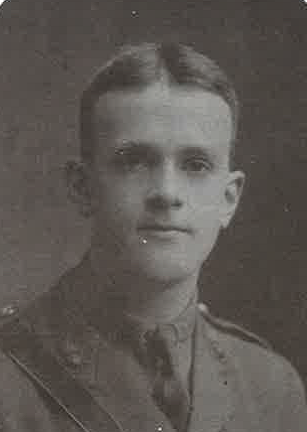 He joins his fellow OD aviators, Captain William Leefe Robinson VC and Lieut. Peter Warren in captivity.